When you are thinking to profligate your home with fixtures, furniture, and furnishings of premier quality, it is essential to paint your house using the best paint, painting method, and materials. Nowadays, people are putting much effort with the way they paint their walls since the general aesthetics of the home is commonly based on the structural features including the walls. Apart from the conservative painting, with brushes as the main tool, spray painting is now universally recognized by most home owners. Spray painting using a spray gun, is a more progressive method of paint application, whereby a measured stream of paint is directed onto a surface in the form of a fine mist. Apart from the handiness that it brings with regards to its utilization, spray painting is also considered a cost-effective means of painting the home. Spraying has enabled the production of artificial resins giving us high durability and fast drying coatings. The overall outcome of your painting project is not completely dependent on the kind of paint you use. 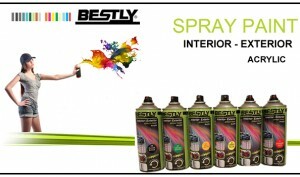 More so, if you are using the spray painting technology, you also need to consider the materials used. One of the most vital elements in this type of painting is the spray nozzles. All spray nozzles can work successfully and competently as long as they are new. But just like any material, they are also subjected to the common deterioration. Spray painting has many benefits over brush application. It is approximately 5 times faster than brush application. There are no brush marks, which makes the finish more abrasion resistance and friction free because of its lack of ridges. 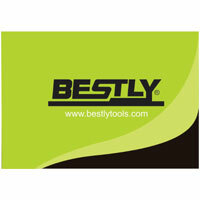 It gives easier access and more complete coverage on challenging surfaces such as rivets, bolt-heads, wire mesh etc. It also enables more decorative effects such as blending and shading by the gradual fading of one color into another. Many home decorators and renovators simply assume that spray painting can be used for any project. This is not the case. It is best for smooth surfaces where other possibilities like brushes and rollers leave a sub-standard effect. It gives brilliant results when used for external painting jobs specifically for garage doors, external metal doors, frames, metal equipment etc. There is a lot of provision work that goes in before using the spray paint. Everything that is not to be painted has to safeguarded with masking tape, tarp etc. You need to make sure that all furniture, windows and floors are properly protected. There is no leeway here and no margin for error. Painting with a spray paint can be fun and easy provided you use the right tool.